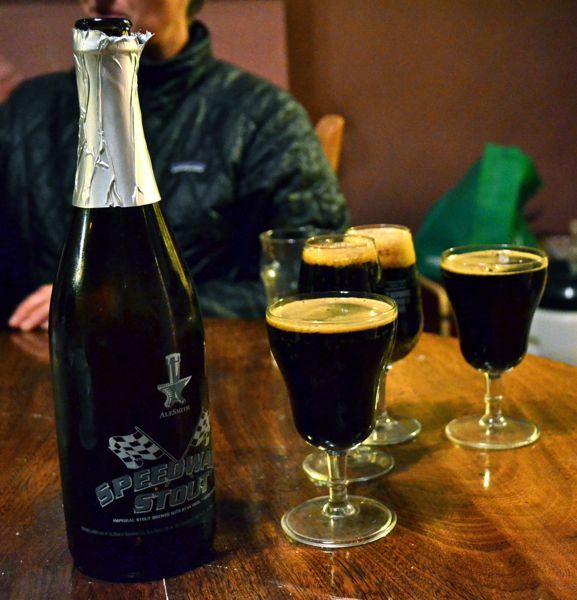 Kris: It was a real treat recently to try for the first time a bottle of Speedway Stout from the AleSmith Brewery in San Diego, USA. Thanks again to Mike C for bringing it back safe and sound in his luggage. It was a perfect end to a meal of Buffalo Wings and a selection of new and exciting import beers from the USA. Kris: This is a serious stout! It is a limited release Imperial Coffee Stout and is one of the best stouts I have ever had the pleasure of tasting. It has massive aroma’s of coffee and roasted malt. The flavours range from rich, sweet chocolate and caramel to roasty, coffee and cocoa, all in balance with a massive 12% alcohol. It is available in 750ml champagne bottles and if you get the chance, grab one, it is really worth tracking down. Another beer in this style to try is Dieu du Ciel’s Peche Mortel from Quebec, Canada. Kris: This style of beer is a great dessert on it’s own. 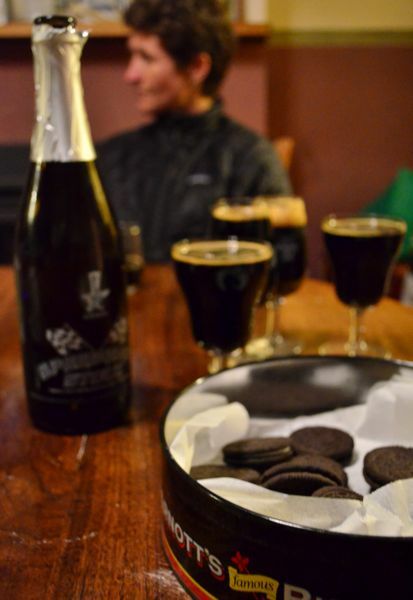 It is, of course, also a great beer to match with rich, chocolate desserts and strong, creamy cheese. We had some Dark Chocolate coated walnuts from Nutpatch in Kettering, Tasmania. If you are ever driving past it’s worth dropping in. It is a hidden gem if hand made chocolate is your thing.A rich self saucing chocolate pudding or chocolate mousse would be an ideal match with the beer. A ripe, creamy blue goat’s cheese or Italian talleggio would be ideal if you are in the mood for cheese. 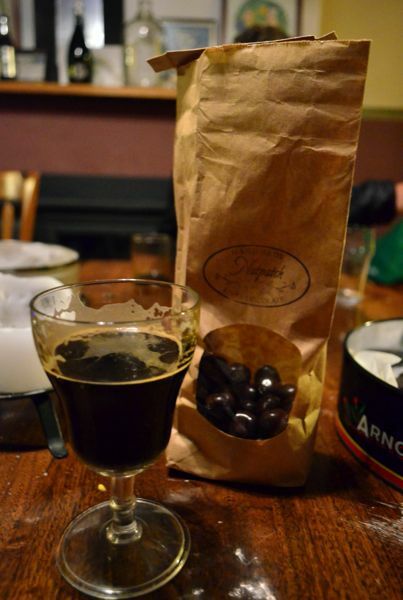 This entry was posted in Beer, Dessert and tagged Stout.